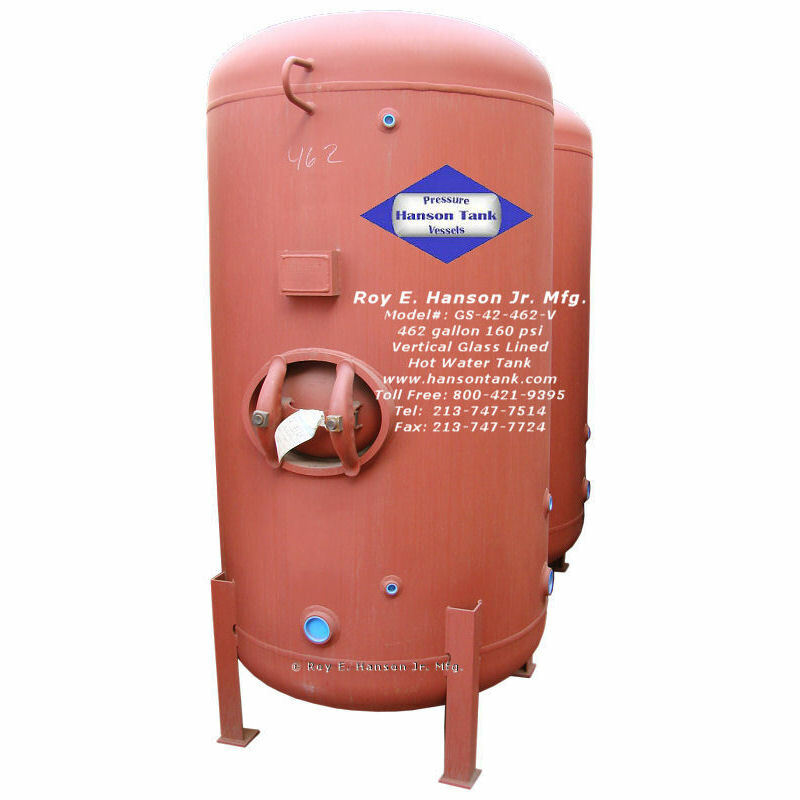 Hanson glass lined hot water tanks are up to 210 deg F.
to avoid rusting in glass lined tanks due to surface holidays. 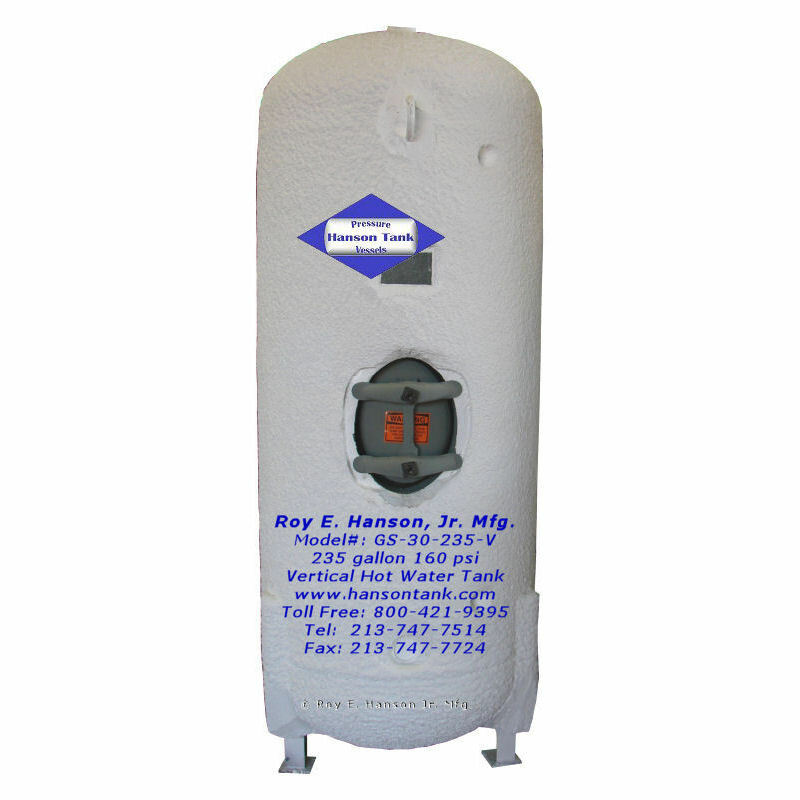 The tanks are insulated for better energy performance. bear the ASME Section IV, HLW stamp. 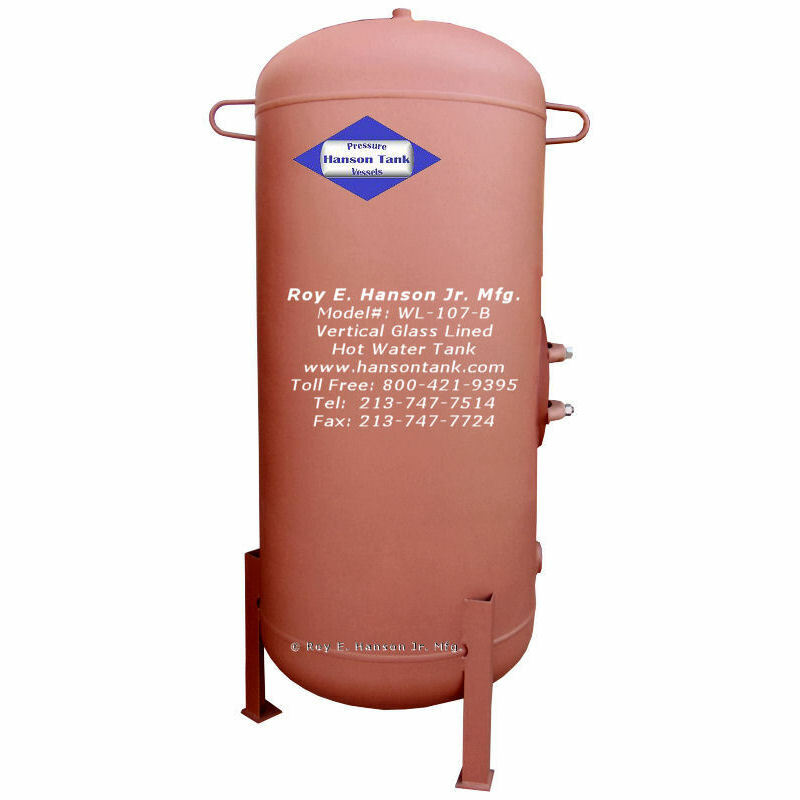 can be installed instead of one big storage tank. for cleaning and desinfecting purposes. 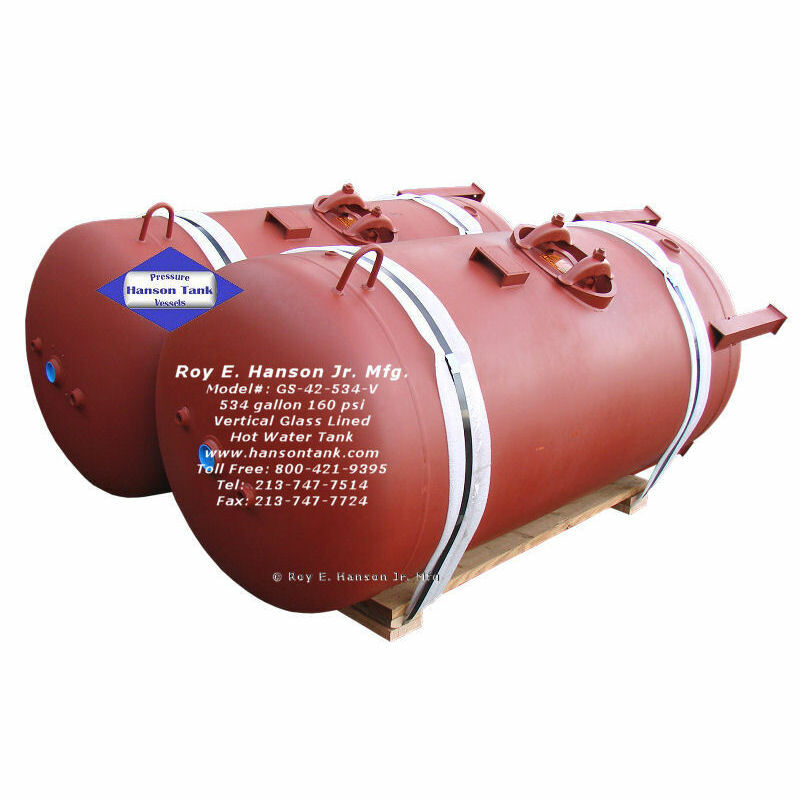 335 gallons 36″ diameter 160 psi. 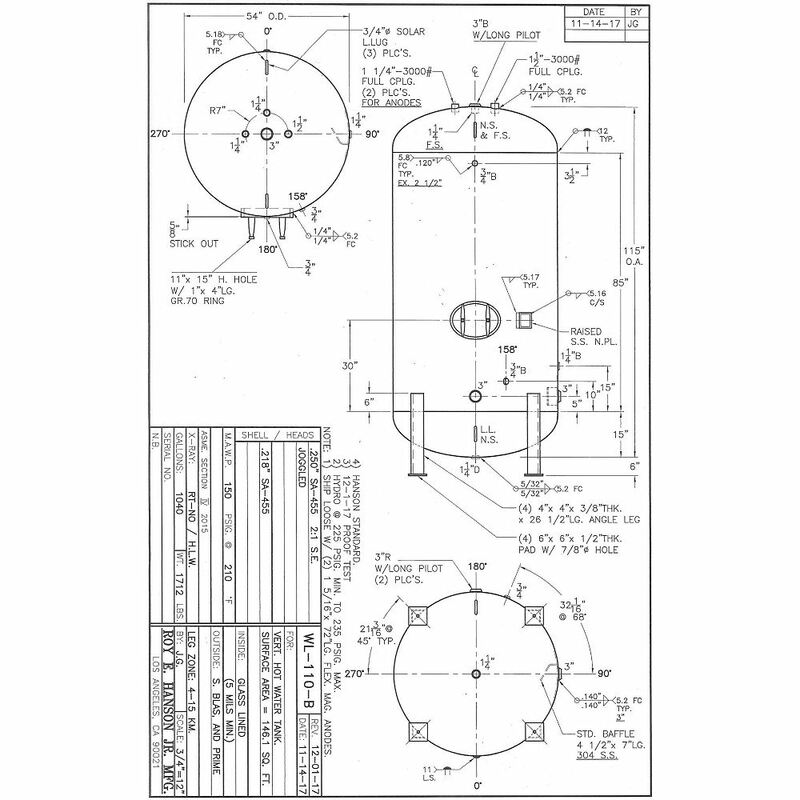 335 gallon 36″ diameter 160 psi with angle legs. Code: ASME Section IV, HLW. Model: WL-107-B. 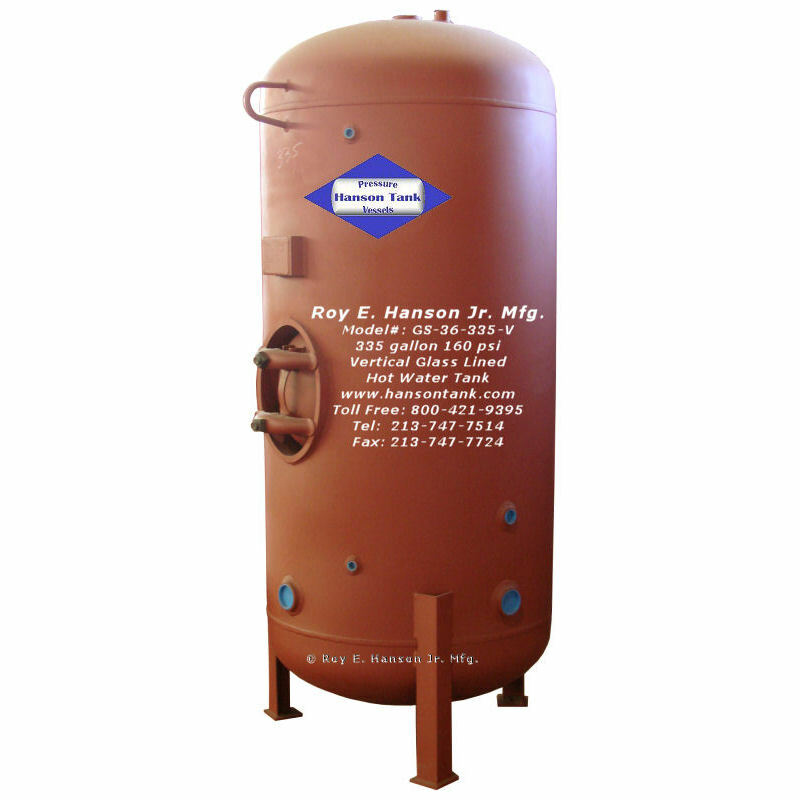 glass lined carbon steel tanks are for hot water storage. 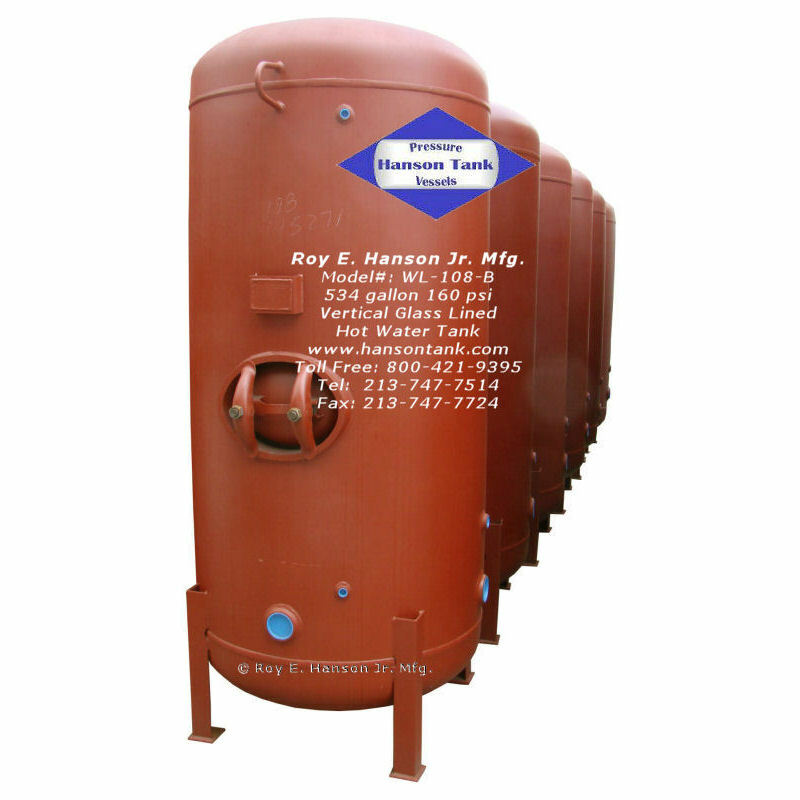 Hanson stocks 534 gallon glass lined tanks. 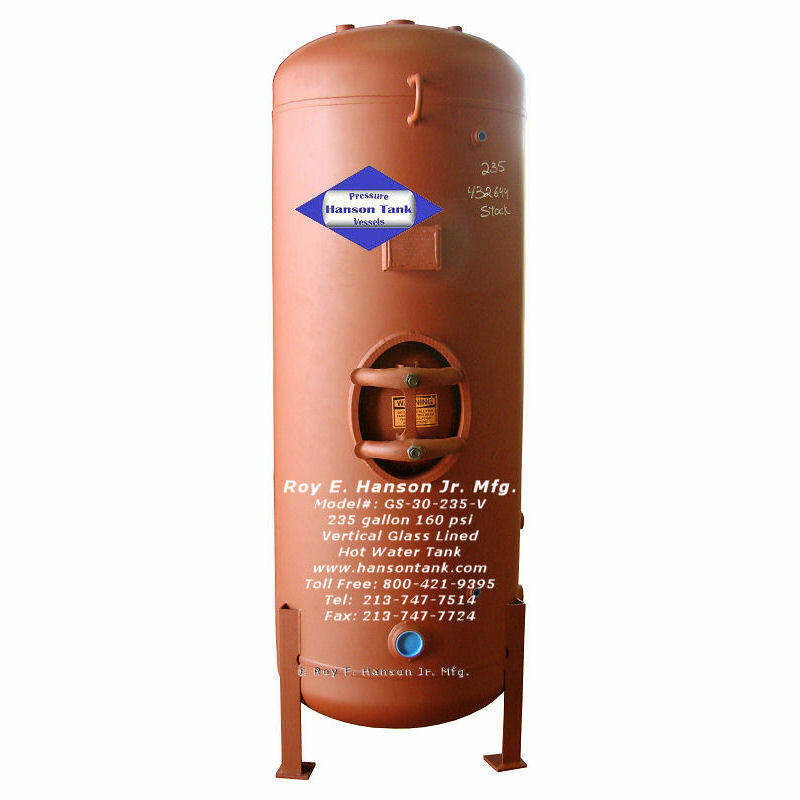 for hot water storage with 160 psi design pressure. 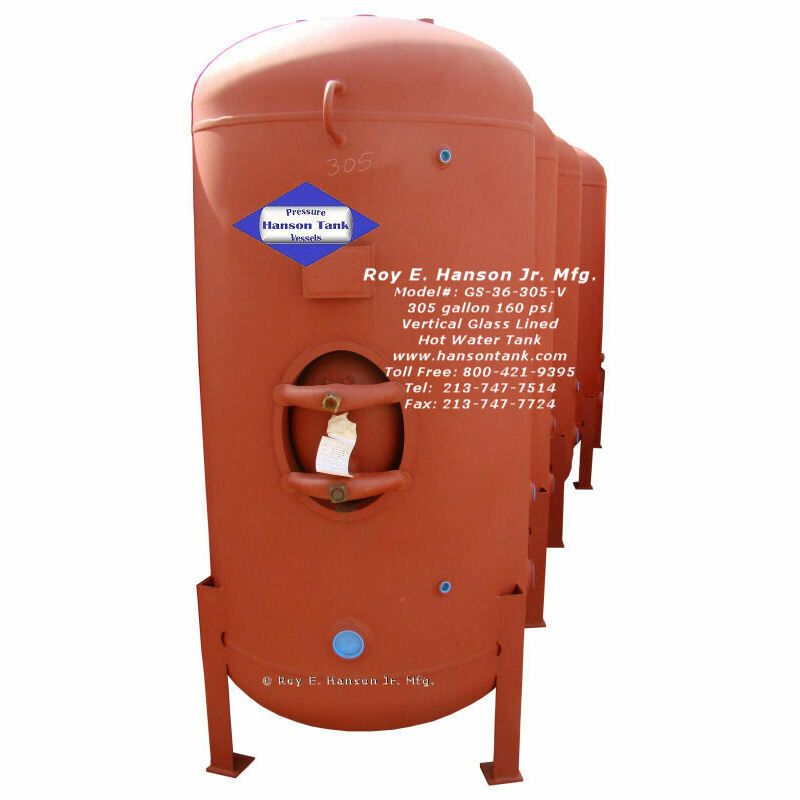 up to 800 gallons for dairies by Roy E. Hanson Jr. Mfg. 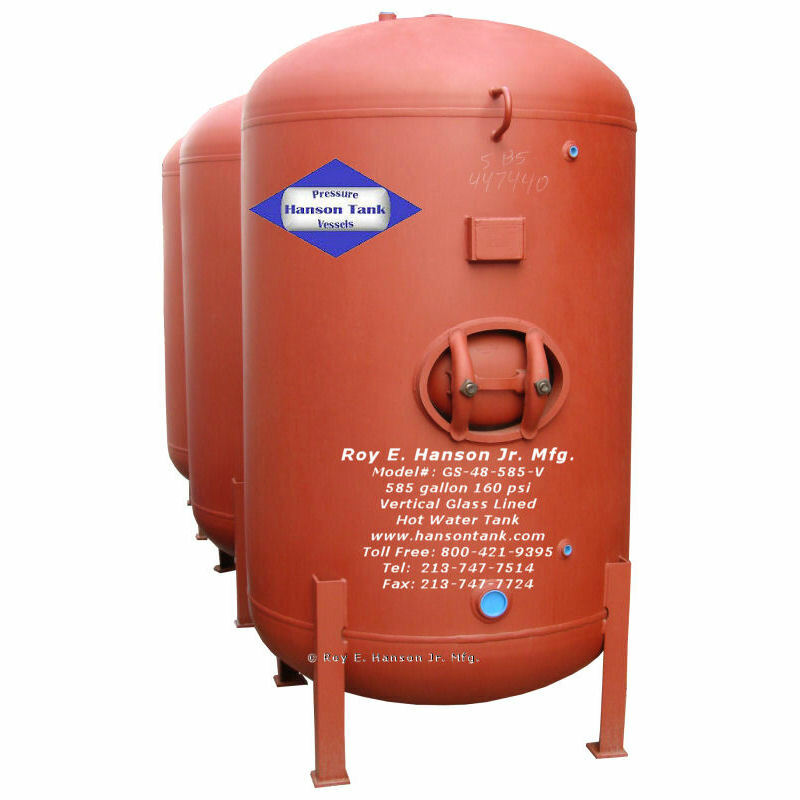 Glass lined hot water tanks are available for various dairies. for various dairy plumbing installation. 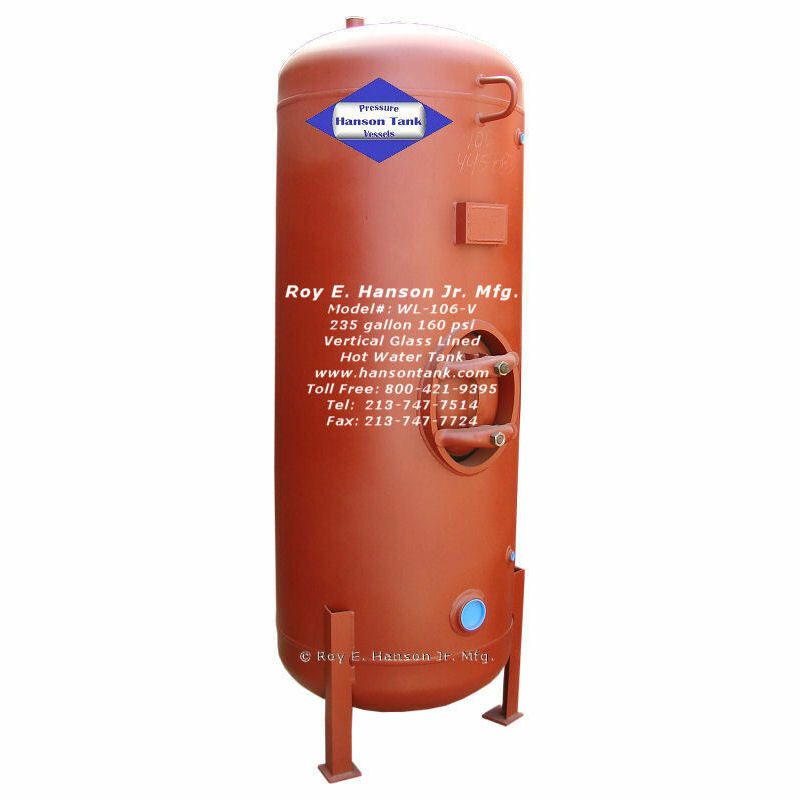 custom hot water tanks are available for dairy farms.